All of the teachings of The Kabbalah Centre are based on the ancient texts of Kabbalah, such as the Zohar and the writings of the great 16th century kabbalist Rav Isaac Luria (the Ari). The understanding of these foundational texts has been passed down directly from teacher to student over the course of 4,000 years. In 1922, The Kabbalah Centre founder, Rav Yehuda Ashlag, completed the first translation of The Zohar from the ancient language of Aramaic into modern day Hebrew. This was a pinnacle moment in Kabbalah history, for it marked the first time Kabbalah was made available to the layperson. After the passing of Rav Ashlag, Rav Brandwein, his closest student, continued the dissemination of the wisdom of Kabbalah. Rav Berg studied with Rav Brandwein for years and the two became very close. Upon Rav Brandwein’s passing, the leadership of The Kabbalah Centre was handed to Rav Berg. As a reflection of this legacy, The Kabbalah Centre is privileged to have the original correspondences between Rav Brandwein and Rav Berg. The Kabbalah Centre is proud of its success in delivering this ancient wisdom so people can use it to better their lives. To this end, The Kabbalah Centre presents countless books and meditation guides. Perhaps most important is the first complete, unabridged, 23-volume English translation of The Zohar, by Michael Berg. Over the centuries there have been partial translations – but never a complete literal translation. Abraham. Patriarch of Judaism. Seed of Christianity. Father of Islam. Abraham was the first man to realize that there is only one God, and that the entire universe is interconnected as one unified whole on a deeper level of reality. 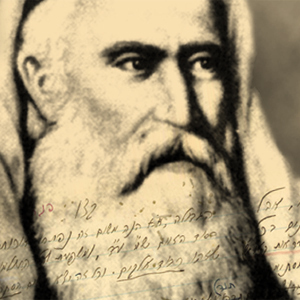 The great patriarch was the first man to transcribe a book on Kabbalah. It is called the Book of Formation, and it holds the secrets of our universe. Remarkably, the entire compilation is only a few pages long, a mere few hundred words. QUESTION: How can all the mysteries of our universe be compressed into so small a text? ANSWER: The book is a coded formula. Consider Einstein’s equation: E=mc². Pages of mathematical equations are concealed inside this simple formula. The secrets of time, space, and motion are reduced to five simple characters. There lies the secret behind the Book of Formation: Abraham’s work contains all the spiritual equations concerning our world of time, space, and motion. The Book of Formation contains all the secrets of existence – from the origins of life to the origins of the chaos that afflicts mankind. The same way that a child – and most adults, for that matter – has a difficult time understanding Einstein’s formula, the people of Abraham’s generation failed to perceive the infinite wisdom within his ancient manuscript. It took a few thousand years before mankind would unravel the secrets of electrical energy. It will take as many years for us to unravel the secrets of spiritual energy locked inside Abraham’s Book of Formation. Due to a decree by the Roman Emperor, which forbade the Talmudic studies, Rav Shimon Bar Yochai sought refuge in a cave in Peki’in, Israel for thirteen years. During these long years of painful isolation, he received instruction in Kabbalah. His teachers were Moses and Elijah the prophet, who visited him in visions. When leadership of the Roman Empire changed hands, Rav Shimon and his son were free to return to Jerusalem. To protect the secrets of the universe that were revealed to him, Rav Shimon called upon one student – Rav Abba – to commit his teachings to written word. Rav Abba had an extraordinary gift for writing in the abstract language of metaphor and parable. Thus, the secrets would be safe, deftly concealed inside abstruse stories, making it difficult for the unworthy to grasp and misuse this ancient power and the Zohar, the ultimate spiritual work on Kabbalah, was born. 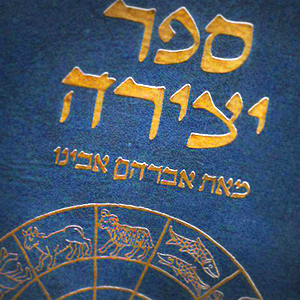 To this day, The Zohar, or Book Of Splendor, is acknowledged as the definitive and authoritative work on kabbalistic wisdom. Rav Shimon said the Zohar is more than a book of secrets and spiritual wisdom. It is a powerful energy-giving instrument, a life-saving tool imbued with the power to bring genuine peace, protection, healing, and fulfillment to those who possess it. The Zohar can ignite the soul of a generation, a catalyst for profound change and transformation within the consciousness of man and society. In other words, just as a light bulb illuminates a darkened room, the spiritual Light of the Zohar can enlighten the minds of humanity to the hidden mysteries of the cosmos. According to the kabbalists, these unseen influences will eventually help shape the destiny of humankind, as the Zohar’s presence gradually grows in our world. The dimming of the Zohar‘s spiritual Light coincided with the Dark Ages, a time where every aspect of civilization – including education, science, and communications – was in severe regression. In the year 1270 C.E. 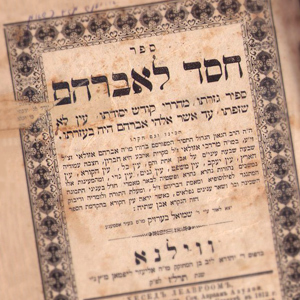 the Zohar reappeared, discovered by Rav Moses De Leon in Spain. As the Light of the Zohar radiated into the world, it sparked the collective consciousness of a generation, coinciding with the Renaissance. The Ari had the gift of exploring the innermost depths of the Zohar, living as a hermit for 13 years to probe its mysteries. It was not unusual for the Ari to meditate upon one verse of the Zohar for many months, until the hidden meaning was revealed to him. The Ari’s greatest legacy was his kabbalistic composition The Writings of the Ari, compiled by his most cherished student, Rav Chaim Vital. This profound work gave birth to what is known as Lurianic Kabbalah. Lurianic Kabbalah became the definitive school of kabbalistic thought, and had a dramatic impact on the world. Eminent contemporary scholars are only now discovering the profound influence this great Renaissance Kabbalist had on such intellectual luminaries as Sir Isaac Newton. The great mathematician and philosopher Leibniz, who invented calculus, was profoundly influenced by Kabbalah. Isaac Newton studied Kabbalah, wherein he found ideas that bear a striking resemblance to some of his greatest scientific discoveries. At the young age of 38, Rav Isaac Luria left this world. He left a spiritual system that, when fully deciphered, will enable humanity to take control over its individual and collective destiny—a road map and guide for the body and soul that will relieve people of their chaos, fear, pain, and suffering. All knowledge and material appearing on this website is rooted in Lurianic Kabbalah. It is said that the Ari came to this world for one purpose: to instruct his student, Rav Chaim Vital, in the Lurianic system of Kabbalah. 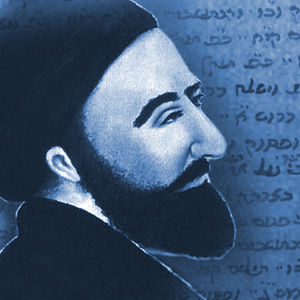 Famed Kabbalist Rav Abraham Azulai wrote a kabbalistic treatise entitled The Mercy of Abraham. Two particular passages stand out. In the first, Rav Azulai wrote that a significant spiritual transformation will begin to take hold beginning with the year 2000. It will be an age where Kabbalah will spread to the four corners of the globe, a period when time and space shrink, a time when the secrets of immortality will begin to unravel before the world’s eyes. The world was at a crossroads. The lines between science, philosophy, and religion were blurred. Brilliant minds dabbled freely among these three disciplines. Unlike the view of contemporary scientists, a connection between science and spirituality was not frowned upon, but understood for what it truly was: two halves of one whole! Throughout history, there have been men well-versed in the philosophies, sciences and spiritual traditions. Some of these men have mined Kabbalah for their own gain and honor, advancing their egos but delaying the arrival of a world that embodies peace and fulfillment for all mankind. From this perspective, these were still dangerous times. Prejudice and bias towards spiritual wisdom – as it exists today – was practically non-existent during the Renaissance, even among the most material-minded men. Therefore, it was imperative that the Ari’s writings remain encoded and obscured. Nonetheless, Rav Abraham Azulai’s historic action officially planted the seed for disseminating Kabbalah to the people. The seed would just have to wait a little bit longer before being allowed to grow. Rav Ashlag was the one man who truly understood – and helped advance – the transformations of the 20th Century. Rav Ashlag broke with the 4,000-year-old tradition that had locked Kabbalah’s great power inside the mystifying writings of the Ari. The time had come to act. The ancient vaults to Kabbalah were to be opened by the hands of this renowned sage. Rav Ashlag explained that the Zohar foresaw the physicality of today’s material world and its rule over the spiritual reality. During these times, men motivated by self-interest, intellectualism, and ego avoid spiritual wisdom like the plague. Only those who seek truth with a pure heart are able to find this wisdom. These views are expressed in his kabbalistic treatise Entrance to the Tree of Life. The year was 1922. 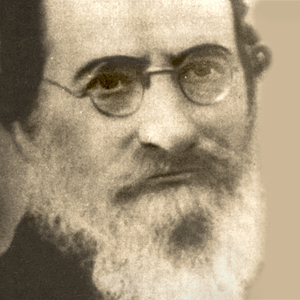 Rav Ashlag established the very first Kabbalah Centre in the city of Jerusalem. Learning was made available to those who were steeped in religious studies, and were over the age of 40. Many leading rabbis of his generation applauded this historic opening. Others vehemently opposed it, fanning the flames of controversy that surrounded the dissemination of this spiritual wisdom. Rav Ashlag was even beaten outside of his synagogue. He was left lying in his own blood, on the steps of his temple, merely for offering wisdom to his fellow man. Rav Ashlag delved into Lurianic Kabbalah with devout fervor, unraveling some of the greatest secrets that mankind has ever known. But the vast majority of the world paid little attention to his historic action, nor could they perceive its influence. His writings tackle topics that pertain to the ultimate removal of chaos – the chaos that has ravaged humankind since time immemorial, with concepts such as relativity, space travel, healing, and other matters affecting the welfare of humankind that were first concealed in the Zohar some 2000 years ago. Rav Ashlag’s genius lay in his ability to extrapolate these secrets from the Ari’s 500-year-old writings. As the mysteries were unveiled, they were injected into the collective unconscious of the people, including his counterparts toiling in the world of physics. Once again, the “monolith effect” was at work. On the unseen spiritual level, his work ignited the technological explosion of the 20th century. Rav Ashlag departed our physical world in 1954 on the holiday of Yom Kippur, leaving the legacy of the first-ever Hebrew translation of the Zohar from its original Aramaic. This monumental tome includes a profound and lucid commentary disclosing the long-hidden secrets of the Zohar and their relevance to our lives. His other notable legacy is his beloved student, kabbalist Rav Yehuda Brandwein, who succeeded Rav Ashlag as the spiritual leader of the Kabbalah Centre. Before his death, Rav Ashlag told Rav Brandwein that he would soon merit his own students, and that one of them would help bring this wisdom to the world, amid great protest and scorn. A gentle and devout soul, Rav Brandwein was a man of the people. He evoked a deep love in all those with whom he came in contact. Both atheists and pious men had great reverence for him. He had an uncommon ability to straddle two worlds – climbing scaffolding on construction sites to lay bricks by daylight, then scaling the highest of spiritual worlds by moonlight. In the way of all great kabbalists, Rav Brandwein’s essence and character was spiritual rather than religious or political, his love transcending religious and racial divisions that had been so prevalent during those turbulent times. When a poverty-stricken Arab came to his construction site for a job in the early 1930s, the kabbalist saw the soul of the man, the common spark of divinity that exists within all of us, and gave the man employment, and a name to hide his identity. 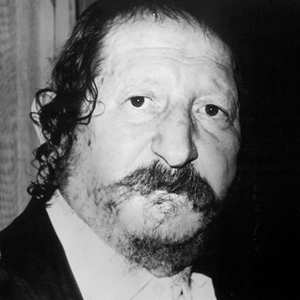 The lineage of Rav Brandwein is notable. He was a family descendant of the esteemed Rav Dov Baer, a great spiritual leader in Russia during the late 18th century. Rav Dov Baer was the successor to the Baal Shem Tov, the founder of the Hasidic movement, and one of the greatest sages of the last 500 years. After the bloodshed of the 1967 war in Israel, Rav Brandwein became the first citizen in the country to settle in Jerusalem. Many years later, when Jerusalem became one city, an Arab paid a visit to Brandwein’s home. He brought along a barrel overflowing with fresh grapefruits. It was the same Arab that Brandwein gave employment to some 35 years before. The man’s eyes were filled with tears. He told Rav Brandwein that he had waited all these years, until after the war, so that he could finally offer his heartfelt thanks for the kindness that had been shown him. Rav Brandwein’s acts of kindness and tolerance for everyone he met radiated this spiritual Light. And it warmed the soul of anyone in his presence. Therein lies the true power of Kabbalah.